I used to be extremely overweight and lost over 60 pounds. I used to be weak, but I learned the methods to become strong; I even won a powerlifting competition. Working out has been a staple in my life for 11 years now. Working out has also helped me develop more self-confidence. I'm healthy, full of energy and full of happiness because I consistently work out. I've dedicated so much time effort into figuring out what it takes to build the best body, a body that's strong, athletic, healthy and at a level of leanness that I'm comfortable with. I've taken my learnings and have constructed two workout templates that I use with the large majority of my client base. Burn 30 is my fat loss template; Core SC is my strength and conditioning template. When working with a client I design a custom program catered to the client’s goals utilizing one of my templates. The templates can tackle any goal - whether you’d like to feel healthier by improving your blood lipid panel exercising with me or to bench press 400 pounds, my customized programming will get you there. Exercise has changed my life in so many ways and I promise it will change yours. You’ll become healthier, and you’ll notice that you’ll become happier too. Healthy and happy is a deadly combination, and on a basic level it’s the best thing we can be. It will transfer over with so much positive influence in your personal and professional life. As a personal trainer, it is my job to help you make these changes. Whatever your fitness goals are, Austin can help you achieve them. Whether its strength, hypertrophy, athleticism, fat loss, or a combination of the above, Austin Stehling has the knowledge and experience to get you where you need to be. Not only does he boast a solid clientele, but he himself walks the walk, sporting a physique and strength levels that show he's not simply an "armchair expert". Most importantly, however, the man is humble and down to Earth, having helped me with my fitness goals (whether it be routine critiques or advice on my diet) a multitude of times, free of charge, simply because he has a passion for the field. I can't recommend him enough. Austin is a great personal trainer. He knows his stuff, so he can help you towards your goals and he can do so safely. He also practices what he preaches; how many PT's do you know can bench in the 400's, and squat and deadlift in the 600's? Don't let that intimidate you though, he's also one of the most personable and likable guys I've ever met. Hire this man to train you! Austin Stehling is an outstanding personal trainer. Watching Austin and his clients grow both physically and intellectually over the years has been a true inspiration. 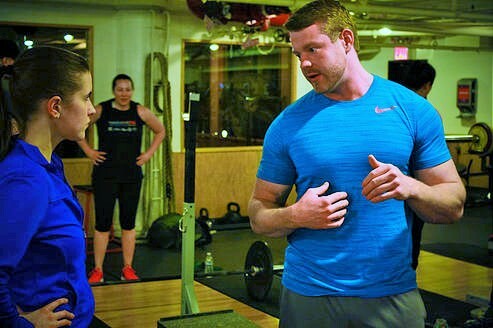 If you are looking for an expert with a passion for fitness as well as the knowledge and ability to execute Austin Stehling is the personal trainer to help you meet your health and fitness goals. Austin is my personal trainer and I love him! He's incredibly knowledgeable in his field and super professional. My favorite thing about training with Austin is that he knows how to make working out fun, while achieving results! 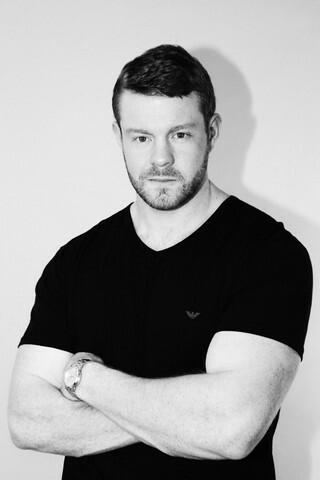 Austin has the tools, knowledge and experience to bring anyone to their best physical shape possible. He works hard for you and it shows. Excellent coach! Really helped me get from couch slob to beach bod. Thanks Aus! I'm happy I trained with A. When you're always strapped for time, what you need is a trainer that will make the most of every minute of your workout and that will accommodate your schedule. I have been training with Austin for a year, seeing him two to four times a week, and I cannot stop raving about having him as my personal trainer. He's willing to work out with me late at night or early in the morning, on short notice. No matter what spirits I am in, Austin pumps me up and ensures that we have an intense workout every single time. I cannot recommend Austin enough. After 3+ years of torn tendons, broken heel bones and 3 surgeries as a result, I was finally in a position to get back into shape. Austin was referred to me by a colleague who has undergone a significant transformation since working with him, so I knew first hand that Austin’s training was effective. My initial call and sessions with Austin were very focused on his understanding of my limitations, exercise history and capabilities. From there, he built a week-by-week schedule that accounted for my sedentary lifestyle since recovering from surgery. Since working with Austin, I have corrected my form and developed a new found appreciation for strength training and squats! I have noticed a huge difference in my endurance and body since incorporating strength training and high intensity interval training into my routine. It’s truly amazing to see how I have progressed in the months that I have worked with Austin. I was always programmed to solely rely on cardio to lose weight, when in fact, Austin has shown me that cardio, strength training and proper nutrition are a lethal combination in reaching my goals. Austin motivates me, makes workouts fun and holds me accountable for my 3 day a week sessions with him, and for my exercise on the days I do not see him. I look forward to our sessions and hitting new milestones every week! Last winter, after years of sedentary office work and couch-potato indolence, I decided to get in shape. I knew, however, that I would need some help--and Austin Stehling turned out to be the ideal man for the job. I trained with him for several months and he was unfailingly patient, kind, and good-humored. He knew when to push, when to hang back, and what sort of routines would be most beneficial for (ahem) a middle-aged guy with poor shoulder mobility. I now feel healthier, stronger, more physically confident, and none of this would have happened without his help. I would recommend him without reservation. I started working with Austin about a year ago with no prior knowledge in weight training. Although initially intimidated, I had clear goals in mind and I knew what I was looking to achieve. 8 months later I can say I am very satisfied with my progress and with Austin's program. His experience and knowledge of fitness has helped me achieve results much faster than I could have done on my own. Beyond that, he is an expert in perfecting form and technique, showing great care in his instruction. 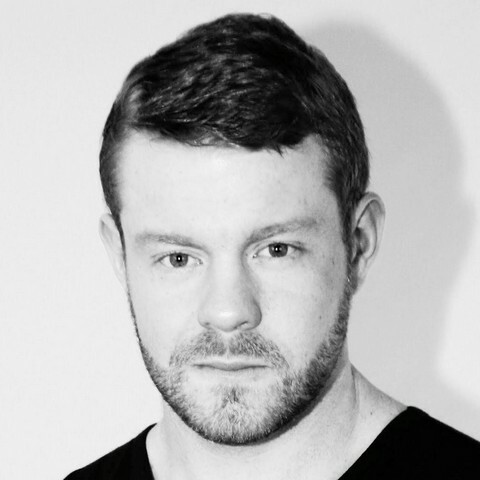 Austin is equally as personable as he is professional – I could not recommend him more highly. Austin is the perfect combination of an iron fist and a gentle glove. He knows just how much to push you to achieve your goals but he knows when your body has had enough. Austin has been my physical trainer for over a year. He uses his extensive background in physical therapy along with good listening skills to help me get into better shape without fears of hurting myself. Austin makes our work outs fun as well as productive. Most important, he is careful to work at the best pace for the client. I fully appreciate his expert advice. I've been using Austin as a personal trainer for about 10 months. He's pushed me hard and we are on the way towards meeting my weight loss and strength goals. Definitely couldn't have made this much progress without him. When we started, I had no weight lifting experience. Austin has helped me every step of the way to become comfortable with the exercises and has guided me on perfecting my form. I'm blown away by the results we have achieved in a short period of time! I started training with Austin after a long hiatus from the gym and he put me right back on track. We aimed for strength training first and then we focused on improving my figure skating skills. I was really happy over all as the progress I made was steady and apparent from the beginning and consistent with my goals. I invested in personal training for the first time with Austin and definitely got my monies worth. I had done crossfit for 6 months consecutively and then off and on for a few months following, and developed an interest in strength training but wasn't really getting much of an increase in my strength as I would have wanted. Austin helped me beat my past PR's and maintain a steady increase in only 2 short months of training along with correcting my form. I look forward to continuing on my training with him in the future. Austin started working with a special needs client of mine 6 months ago and it's been life changing. He has never connected with a trainer the way he does with Austin, and we see marked improvement in his physical and mental health. He finally looks forward to physical activity! We are so thankful to have found Austin!